This unique project involved construction of a 35,000 square foot, four story building within the College of Medicine's Given Courtyard. 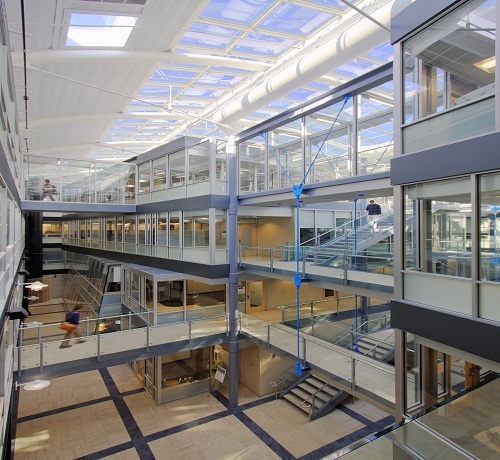 The project became known as the "ship in a bottle"...all construction equipment and materials, including cranes, structural steel, and concrete, were brought into the courtyard through an eight-foot wide corridor extending through the existing building to the courtyard. This project was awarded the 2010 Efficiency Vermont award for innovative design and energy efficiency and achieved the LEED gold level.